Romney is a useful marker in the frightening right-wing turn of his party. The GOP has been moving rightward for the last thirty years, but that shift has dramatically accelerated just since the fall of 2008. After Obama won the presidency, Republican officeholders and conservative pundits decided almost-unanimously was that the party's failure had stemmed from being too moderate. 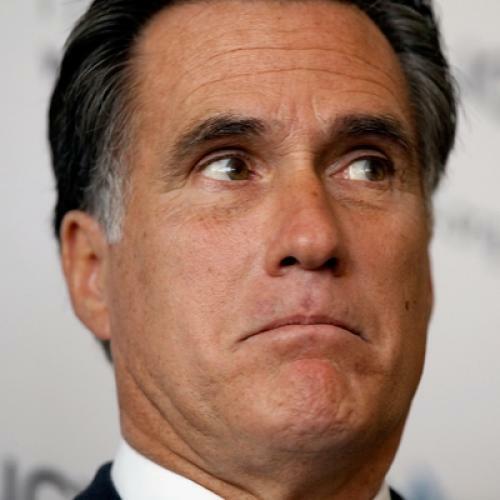 The sudden ideological isolation of Romney is a case in point. During the 2008 GOP primary battle, he took a lot of heat for his former socially liberal positions. But his health care plan in Massachusetts attracted very little controversy. It was a classic moderate Republican plan, and one could very easily imagine Romney implementing something like it -- which is to say, something resembling the Obama plan -- had he won the presidency. Now it's seen as socialism, if not the end of American freedom. Likewise, the Bush administration and most Republicans favored TARP, but it, too, is now widely seen among Republicans as some dystopian attack on free enterprise ripped straight out of an Ayn Rand novel.